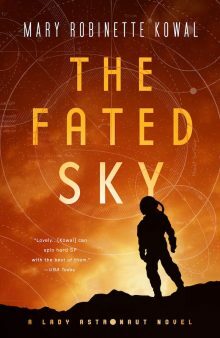 The San Francisco Chronicle just posted their list of the Best science fiction and fantasy books of 2010. Shades of Milk and Honey is on there! Kowal presents a tale of romance in Regency England with just a sprinkling of fantasy. Able to pull “glamour” out of the ether and create intricate tableaux that trick the eye and delight the mind, Jane Ellsworth yearns for true love but believes herself to be too old and too plain to catch any bachelor’s eye. This low-key novel succeeds through understated humor and sprightly prose, rather than through absurd juxtapositions of the historical and the supernatural. via Best science fiction and fantasy books of 2010.